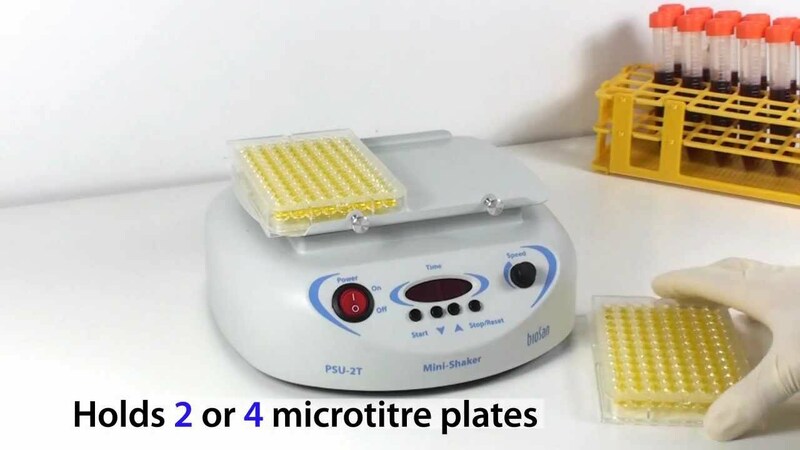 Mini–Shaker PSU-2T is designed for immunoassays and provides adjustable mixing of reagents in microplates. The device ensures smooth movement of the platform even at low speeds. Shaker is a compact and user-friendly device. It takes up little space on a desk and is ideal for personal use. The use of direct drive and brushless motor allows continuous mixing up to 7 days and ensures reliable, trouble-free operation for more than 2 years. Display of the device switches between time and speed readings. Shaker can be used in cold rooms or incubators, operating at ambient temperature range +4°C to +40°C.